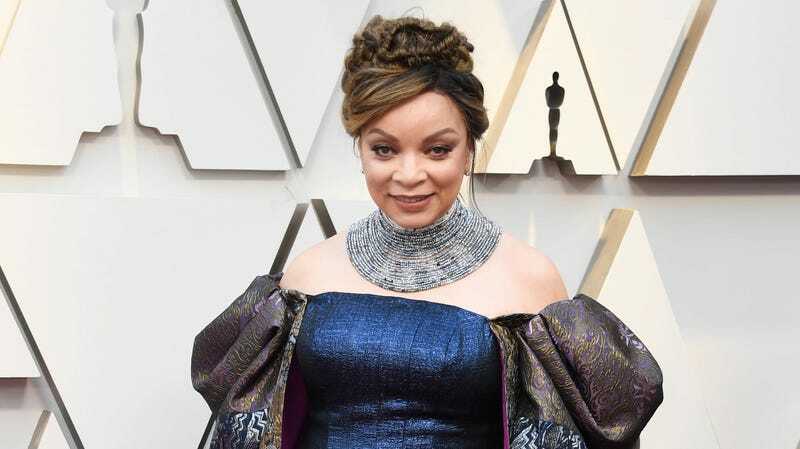 Costume designer Ruth E. Carter attends the 91st Annual Academy Awards on February 24, 2019 in Hollywood, California. She’s been a force in the field of costume design for over three decades, but Ruth E. Carter is very much in her prime—and finally getting the recognition she deserves. In addition to her 2019 Oscar win and double awards for Black Panther and Lifetime Achievement from the Costume Designers’ Guild, the visionary designer’s next accolade will be from a collective of her peers. On Saturday, April 13, at the Fashion Institute of Design & Merchandising in Los Angeles, Ca., tribute will be paid to Carter’s remarkable career by The Black Design Collective, helmed by acclaimed fashion designers Kevan Hall, Angela Dean, and T.J. Walker. According to a release from the organization, guests of Saturday’s star-studded celebration will include Gabrielle Union, Beverly Johnson, Roshumba Williams, Serayah McNeill, Loretta Devine, Margaret Avery, Tina Knowles-Lawson, Richard Lawson, Vondie Curtis-Hall, Mykelti Williamson and Will Catlett; recording artists Yolanda Adams and Erica Campbell; fellow costume and fashion designers Waraire Boswell, Marci Rodgers, Antoinette Messam, and Sergio Hudson; filmmaker Kasi Lemmons, and many more. In addition to lauding Carter, the evening’s festivities will mark the launch of a new partnership with the event’s title sponsor, AT&T, with their Believe Los Angeles initiative, “a grassroots employee-driven campaign committed to supporting workforce development, career readiness programs, with a special emphasis on digital media and entertainment employment opportunities for underserved students in Los Angeles, especially diverse millennials.” The Black Design Collective has also established a scholarship fund to help young designers access the higher education to excel in their chosen creative fields. The founding trio of designers spoke with Teen Vogue about their groundbreaking event and initiatives, which will hopefully offer welcome opportunities in an industry struggling with inclusion. If anyone has brought the world a greater understanding of the profound impact of black design, it’s Carter. The trio had planned to honor her well in advance of her Oscar win, but as Kevan Hall noted, her recognition by the Academy this year was a win for black designers everywhere.